"DIY" 39¢ - 49¢ - 59¢ Per Square Foot!!! We designed a unqiue and special DIY Program, catering to all of you Do It Yourselfers. We are the nation's leader in supplying hundreds of retail stores and lumber yards, worldwide. 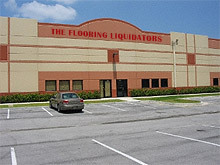 As the world's largest flooring liquidators...if you are a Flooring Installer, Contractor, Handyman, Homeowner, Landlord, Property Maintenance Manager...we have the A-Z Program designed especially for you. 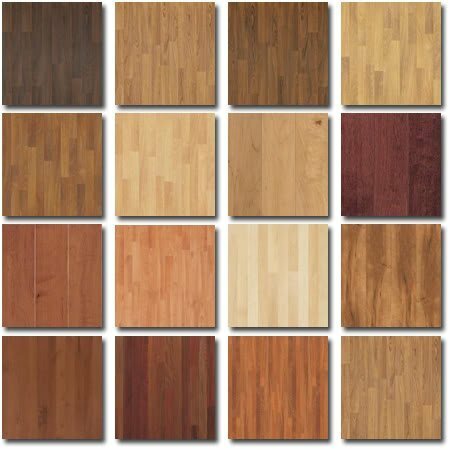 We have put together a package of Laminate Wood Flooring, 7mm or 8mm and sometimes even 10mm, the 3-in-1 Blue Silent Underlayment and all the moldings you need to complete your home, condo, storefront or office, for as low as $.99/sf for the complete package. If you need us to install the flooring for you, we are ready with an army of installers to install up to 3,000 square feet a day! 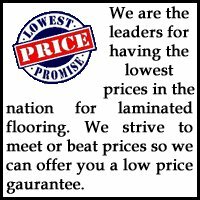 If you only need the Flooring, we can accommodate you as well, with affordable pricing starting as low as $.39/sf for entry level flooring. Just check with Antonio for Large Quantity Pricing. 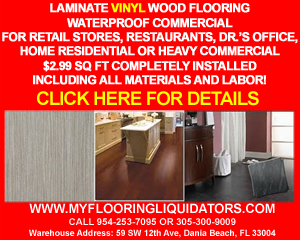 Our Dania Distr ibution Center is based in Southeast Florida and it's Florida's largest Flooring Warehouse that stocks more than 435 different decors ready for immediate pickup. We also carry, five different types of underlayment. Please click on the Underlayment Tab for more information. 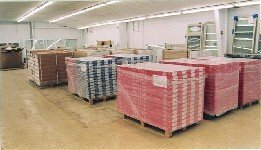 We have relationships with all of the American & European Flooring Manufactureres like Kronotex USA, Quickstep, Shaw, Mannington, Dupont, Tarket, Armstrong, Kronoswiss Switzerland, and Eco-Flooring, our house brand imported from Germany, give us the power to give you the deepest discount in the flooring industry nationwide. We supply over 1,000 containers to Flooring Dealers worldwide a year.